Item Number: 500-5-11 19073 Actual Weight: 0.1 lb. Use for bulletin boards, wall charts, maps and more. 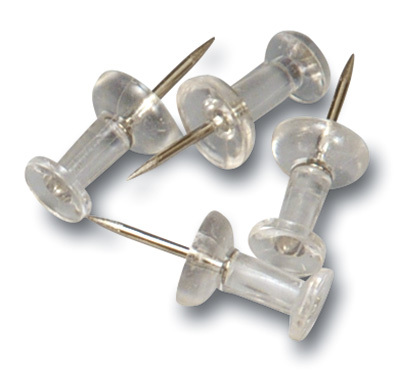 Pushpins have sharp steel points and 1⁄4" plastic heads. Nickel plated thumb tacks have sharp steel points and have a strong hold for a variety of uses.